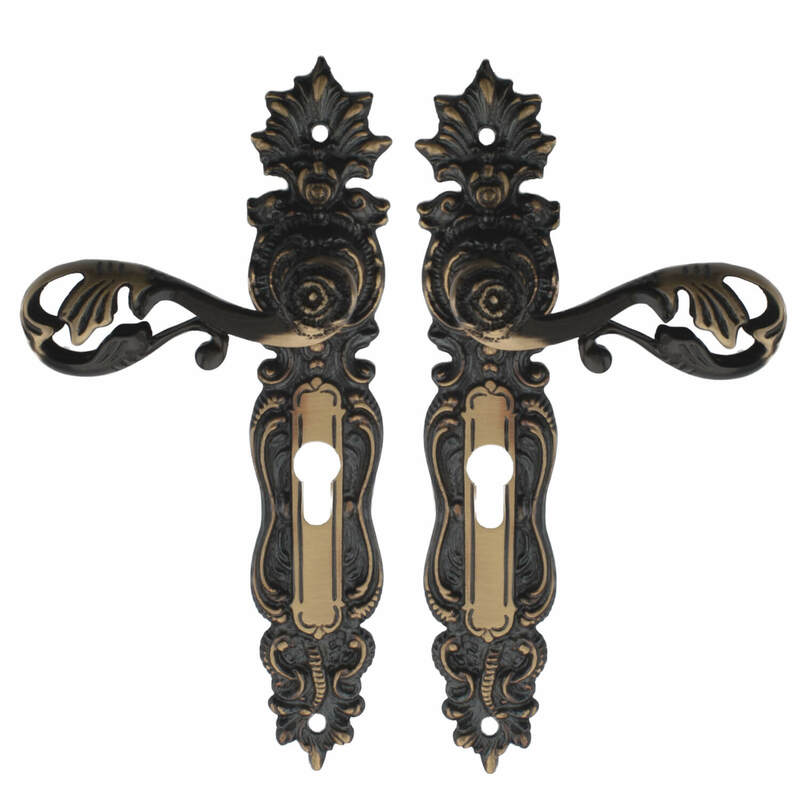 The curvy door handle in brass with antique lacquer - is delivered with a fixed backplate. The backplate have 2 screwholes in it, that is used for installation. There is placed a teardrop shaped cylinder hole for PZ locks on the backplate - for both sides of the front door.